Well, it wasn’t called that when I “went to uni” in the sixties. There was only one university in Brisbane, perhaps Queensland, at the time, hence no need to differentiate. The transition from a country high school to the stately sandstone of the Forgan Smith building in order to pursue an arts degree was indeed a quantum leap. Dusty lecture halls crammed with dozens of bewildered “freshers”, heavy briefcases full of textbooks, lecturers who were immersed in their subjects, but had little opportunity to interact with their students: all this was quite challenging, especially for those of us who were also adjusting to living away from home for the first time. I had loved French at school, but I attended my first university lecture with some well-founded trepidation. Without a word of English being uttered we were given, verbally, and at some speed, all the essential information regarding Term 1: lecture and tutorial times, rooms, an outline of the curriculum, and the assessment requirements. All quite daunting. Fortunately, we later encountered kindly lecturers like Professor Mahoney, who, by contrast, clearly wanted to encourage us to enjoy the subjects they loved. In our German courses, one of the lecturers eschewed the accepted protocol of starting a lecture at five minutes past the hour, and finishing it at five minutes to the hour. Seemingly goose-stepping to the beat of his own drum, he insisted on starting and finishing on the hour, precisely. If the lecture immediately before his happened to be on the other side of the campus, (which was the case for me), and you were not an Olympic athlete (definitely not my forte), you would burst into his lecture room, late, frazzled and sweaty. Feverishly scribbling down your lecture notes, with pen and paper, you would often spend the first half of his lecture trying to work out what topic he had introduced at the beginning. Again, thank goodness for the humanitarians in the German Department, like Professor Leopold and adorable Dr Bonnin, who made us feel so welcome. In English lectures we were introduced to such a variety of lecturers and works of literature that it swept us well beyond the confines of the set texts that we had become so familiar with during our senior years of high school. A world of reading opened up, with time being the only impediment to our reading discoveries. It was subjects within European history that probably presented the greatest change to the mode of study to which I had become accustomed. Debate, discussions and deliberations took the place of rote learning of names, dates and definitions. I grew to love it, eventually. There were also plenty of fun times at university of course. The very first day of lectures was always characterised by the arrival of freshers dressed in bizarre outfits. Those who were staying at the university residential colleges, or off-campus hostels, were obliged to participate in these (usually) harmless rituals. For two of us, this meant wearing huge, brightly-coloured paper bows in our hair, with signs on our backs which read “A Bow for a Beau”. No such lucky exchange eventuated, regrettably, but our quirky costumes resulted in our photo being published in The Courier Mail. An embarrassing start. School formals did not exist in the sixties, so for many of us the first opportunity to dress to bedazzle was at a mid-winter “At Home”, hosted by one of the university colleges. Floor-length gowns, elbow-length gloves, faux-fur stoles and bouffant hairstyles were de rigueur for the girls. And our partners for the evening were expected to telephone us beforehand, to enquire as to the colour of our ball gowns, so as to present a matching floral corsage on arrival at the door. Most of us did not give a great deal of thought to where our future lives might lead us, beyond the end-of-year exams (preceded by “swot vac”). However, many of my contemporaries have gone on to have brilliant careers, in some cases to achieve fame, and even occasionally fortune. I remember one student in our arts lectures who, in sharp contrast to most of us, always seemed poised, confident, mature and academically accomplished. It was no surprise to me when Penny Wensley, was named Governor of Queensland in 2008. I spent four years at The University of Queensland, feeling much more at home there in the last three years than I had done in my first year. I still have friends from that era, and will always be appreciative of the high standards that the University demanded of us all, and the lifelong love of learning that the experience instilled in me. 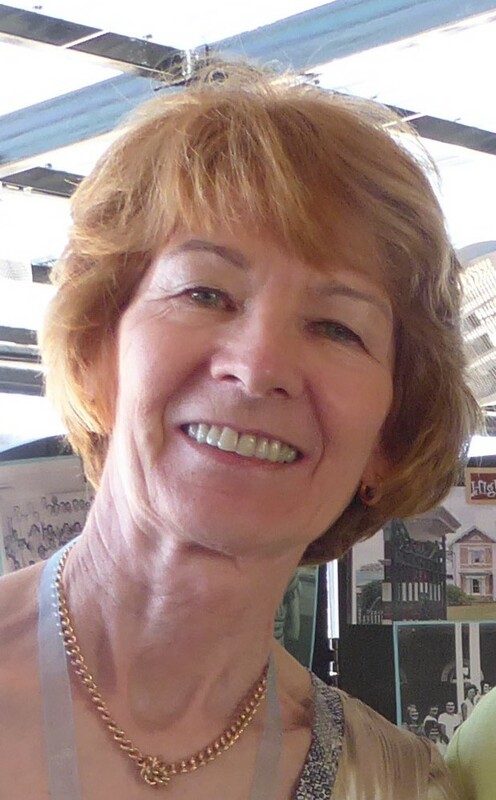 After graduating from the University of Queensland in 1967, Patricia taught at Kepnock High School in Bundaberg, and later at Miama, Banyo and Wavell High Schools, before being appointed as Head of Department (Foreign Languages) at Clontarf High School in 1974. In 1975 she worked an an Assistante at a Centre de Recherche et de Documentation at Nancy in France, preparing materials for teachers of English to use with their French-speaking students. Her work as Head of Department continued at Capalaba High School, until she was appointed as Deputy Principal at Ferny Grove. Since retiring in 2007, Patricia has joined a book club, tutored a refugee family from Bangladesh through a program organised by St Vincent de Paul, tried to learn ballroom dancing, and expanded her studies in French through the Langue et Culture course at the Alliance Française. This entry was posted in Art, Campus sprawl and tagged 1960s, At Home, Education, English, European History, Forgan Smith, French, Freshers, German, languages, sixties. Bookmark the permalink.